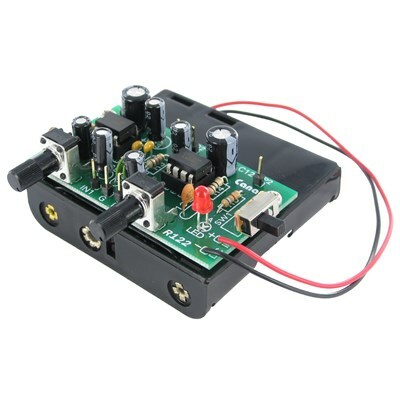 A very compact mini stereo amplifier that can be connected to the headphone jack of an audio source such as an iPod, iPhone or any MP3 portable player. It is based on two LM386 low-voltage power amplifiers and provides up to 1W of music power for each channel. Includes stereo plug as well as a battery holder.